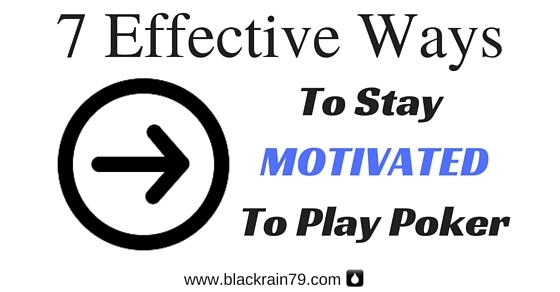 Motivation is something that a lot of people struggle with at times in poker. It is the easiest thing in the world to sit down and play when everything is going your way at the tables. But once you hit that soul-crushing downswing playing poker will seem like the last thing in the world that you want to do. But being able to persevere and put in the hands regardless of the circumstances is really the mark of a true professional. It is also the reason why people achieve anything in life, in poker or otherwise. That is, they are able to get themselves to do the thing that they know they should do, even when they don't feel like it. 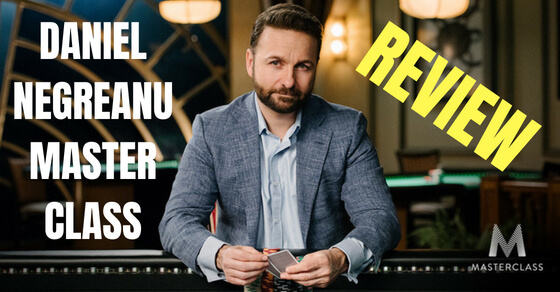 So in this article I am going to provide you with 7 effective tips that I have used over the years to motivate myself to put in the hours at the tables. It might sound cliche but goal setting is one of the most important ways to keep yourself motivated to do anything. But even more important is setting public goals. If you go back through the long history of this blog, this was exactly the original intent. I would publicly state goals which were usually related to the number of hands that I was going to play over a period of time such as a month. Guess what happens when you set a public goal and then fail at it? You have egg all over your face and you feel like you let yourself and others down. This is why publicly stated goals are so powerful. You will hold yourself more accountable because there is nothing worse than saying you are going to do something in front of others and then failing miserably. Other people will also follow your progress and help keep you motivated as well. 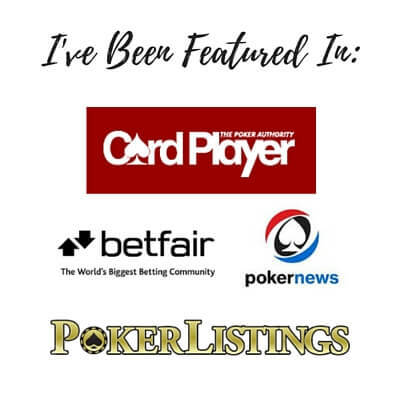 Start that poker blog today. 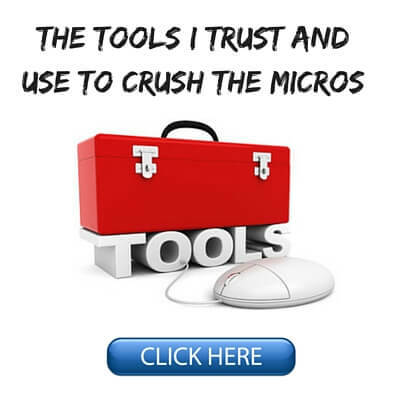 Just use a free service like Blogger or Tumblr and let all your friends know about it. Or start a Twitch or a Youtube channel if that is more your thing. Set public goals and go accomplish them. We all have those inspirational poker players who have achieved the kind of success that we strive for in this game. This could be anyone from a solid micro stakes grinder to the latest high stakes phenom. No matter who they are, it is very likely that they got to where they are through consistent effort. I have said it again and again before on this blog and elsewhere. The #1 most common trait that you will find among nearly all successful poker players is a huge number of hands played. In fact, they always seem to be at the tables playing the game! Nearly every successful poker player these days has some sort of blog, twitter, tiltbook or something. Follow the people who inspire you. Comment and engage in discussion with them. And find out what motivates them. Surround yourself with highly motivated winners and it is very likely to rub off on you. The reason why most successful poker players have played way more hands than everybody else is because like most other things in life, you get good at something by doing it often. I think you should definitely set aside plenty of time to improve your poker game through study and discussion with other (preferably better) poker players. 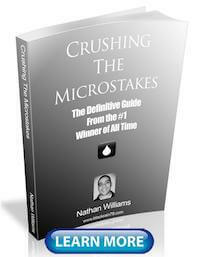 But the #1 way that you are going to get better at poker is by throwing yourself into the fire consistently. This is how your brain is going to really make those connections that certain plays work and certain others do not. 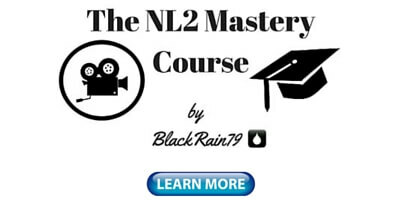 Essentially, every new session gives you a new opportunity to learn and expand upon your understanding of the game. Always make playing the game your #1 priority. This will help you improve faster and get the results that you want. One of the biggest reasons why people lack the motivation to play poker on certain days is because they are in the grips of an awful downswing. Most of us have been there. If you haven't yet, don't worry, it will happen to you eventually. This is when you can't win a hand to save your life for days, weeks or even months on end. It seems like literally every time you have KK, they have AA. Hit a set? They have nothing. Have an over-pair? They have a set. Have a flush? They have a higher one. You get the point. I know from going through numerous horrific downswings during my poker career that sometimes the hardest thing in the world to do during times like this is to even want to play anymore. But one of the most important things that you need to remember is that every poker session (every poker hand in fact) is an independent event. Just because you have lost 5 coinflips in a row does not mean that there is something wrong with the coin. Your chances of winning the next coinflip are still exactly 50/50. As difficult as it can be during a brutal downswing you need to realize that the only way out is by playing. And since you are a winning player your odds of winning in each particular session are better than average. Your recent results have no impact on what will happen today. Just play as little as a couple hundred hands. If things go poorly again and you feel tiled, fine, go ahead and quit. But don't avoid playing altogether because you think you are somehow "cursed" or some silliness. Each poker hand or session is an independent event. If you are indeed a winning poker player, then the only way that you will fail from an EV (expected value) perspective, is by not playing. People will always debate about whether or not poker is a sport but the bottom line is that this is a very serious pursuit for many of us. For some of us it even pays the bills. So why wouldn't you approach it like a professional? Professional athletes often prepare mentally for hours before the big game. They will listen to music, review game film and listen to their coaches. All of this is really just a process of getting their mind right in order to perform better. There is no reason why you shouldn't be doing this with poker as well. Mediation may work for some. Spend 10 minutes doing some simple deep breathing and positive mindset exercises before your next session. Listening to music might help as well. I tend to listen to a lot of house and trance when playing poker because it is often uplifting and has minimal vocals. Lastly, you can find countless awesome inspirational videos on places like Youtube these days. I have lengthy playlists that often get me going on those days when I don't want to play poker, write or go to the gym. If you have 1 minute and 19 seconds of your life to spare, listen to Joe Rogan dropping some serious wisdom right now! Seriously, how long have you been playing this game now? Have you achieved the success that you know you are capable of? If you aren't happy with your answers to these questions, then perhaps it is time to look inward and even get a little bit pissed off. Most people have an endless list of excuses for why they haven't achieved their goals in this game yet. It is never their fault. The real reason why they haven't made any real progress though is because they haven't been willing to put in the effort. The truth is that if you truly want success in this game (or anything in life), then it is right there for the taking every single day. You won't get it by wasting more time on Facebook, Reddit or watching TV though. They aren't talking about it, they are doing it. I have mentioned several times before about how I "went pro" many years ago. I was working a full-time job at the time. 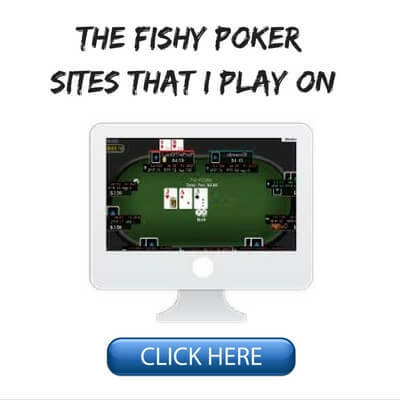 When I came home I played online poker for 3 or 4 hours every single night for a year. I would simply play all day on the weekends. Because I was sick and tired of not achieving the success that I knew I was capable of in this game. I also absolutely hated my job at the time as an underpaid and overworked office slave. Basically, I was finally mad enough (at myself) to actually do something about it and stop complaining and finding excuses. After that year was up I had gone from NL2 to NL100. I had a 10k bankroll with plenty more in savings, and I decided to try and do this thing full time. The last way to motivate yourself to play poker more consistently is surprisingly simple and yet so few actually do it. Tell me, why did you first start playing poker in the first place? Probably because it was fun, exciting, thrilling even, am I right? Here's the thing. When you always keep this "fun factor" involved, then it is a lot easier to motivate yourself to play poker. We like doing things that we enjoy. One of my favorite ways to pump in some hands when I am absolutely hating this game is to simply play another format. If cash games are sucking big time for me, I will go play some low limit tournaments or even some sit n gos or spins. Even though I consider myself a cash game specialist, and I am no expert in these other formats, the competition is typically very weak at the lower stakes. In fact, often much worse than cash. So I feel that I can easily turn a long term profit in these games too. But the biggest reason why I play them is because it gets my mind out of the gutter and allows me to just have fun again. 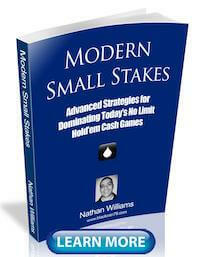 And the great thing with MTTs or SNGs is that you risk a small amount but you could potentially hit a huge score. Winning a tournament will cure that cash game downswing of yours in a hurry! If things have been going badly in your main games go play something totally different just to mix it up. Heck, even go learn PLO or Triple Draw! Just mix it up from time to time in order to always keep the fun factor involved in this game. This will in turn keep you motivated to play more. Staying motivated to play poker every day is not an easy thing to do for most people. But it really is the only way that you are going to break through and truly achieve the success that you want in this game. Nobody gets to the top by half assing it. Nobody climbs up the ranks by putting in a couple of hours a week, you know, if they feel like it. No, the best players in the world are always at the tables grinding and making it happen. They are "all-in" with this game because they want it more than anything. Hopefully a few of the tips in this article can help you improve your motivation to put in the hands on a consistent basis. 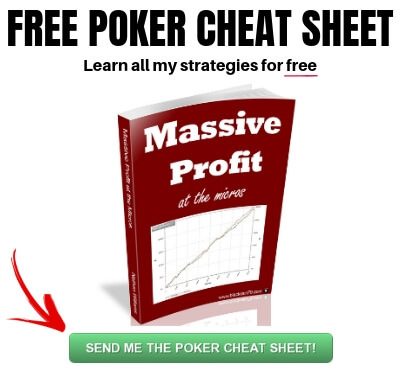 What strategies do you use to get yourself motivated to play poker? Do you have any tips for getting yourself to play during bad downswings? Hey Nathan, your articles usually show just in time as I'm currently on one of those moments when the motivation to play poker is very low. Been on a downswing that feels never ending and can't seem to win anything but I just know it's just in my head. Started rereading The Mental Game of Poker 2 again and it seems to be working get my mind straight. Quick question, do you meditate? I keep hearing about the benefits but I tried once and failed miserably (just managed to do it for two days, lol), turns out maintaining the same position while trying to keep a clear head is very tough. Personally I keep a journal/notebook (suggestion from The Mental Game of Poker) to get the thoughts (both positive and negative) out of my head, therefore clearing mental space to new thoughts and ideas. Using a public blog also helps as well. Anyways, again thanks for this article. Best of lucks to you! Take care! Hey Jorge, I actually have tried and failed pretty hard with meditation as well haha. I will work on it more in the future though. The gym (both cardio and strength training) actually helps me the most to balance my life and keep stress levels low. I actually know a lot of poker players where this is the case as well. First off, good job on your winrate. You are already way ahead of most people. In order to get better you need to improve your skillset and figure out where your leaks are. I like to think that there is a lot of good info on this website for improving your skillset at these stakes. You can check out my "Start Here" page for all my most popular articles. Finding your leaks is more a process of reviewing your hand histories and running filters in PT or HM. Haha sounds about right Alex. Quality repetition definitely plays a big role in success in this game! Hey Nathan! Love your articles, and that Joe Rogan video is sweet! I am currently studying two hours per day Monday-Friday. I mostly watch traininng videos, do range analysis exercises, and practice on Snowie. I don't play very many hands per week. Do you think spending more time per week studying than playing will slow my improvement? Hey EL, glad my articles are helping. I think you should probably spend at least half of your time playing the game. I think that this is how you are going to learn the best. I love this article, love the video clip too. Just stumbled across this site, but I wanted to take a second to thank you. Powerful article...thanks again. Thanks Shawn, glad you liked it! Thank you Taras and all the best to you as well! I started doing 2 big things and it's totally paying off. 1 - I took your advice and started a blog. I post my monthly results by way of a screen shot of my HUD stats. It's scary letting the world know how much I won or lost. 2 - I started boxing. Sounds weird, but by getting another hobby, it gets me away from playing poker all the time so when I do sit down to play I am fresh.